Forced To Quit, Can I Sue If I Am Still Employed? Wrongful termination means that your employer has fired you for an illegal reason. Generally, the only types of employment lawsuits that an employment lawyer will look at if an employee is still employed are employment lawsuits for severe sexual harassment, severe race discrimination, maybe severe disability harassment, unpaid wages such as overtime, unpaid commissions, unpaid meal breaks, prevailing wages, or a workers compensation issue due to a work injury. Most employment lawyers will not take, on a contingency, an employment case in which the employee feels discriminated against but has not yet been fired. 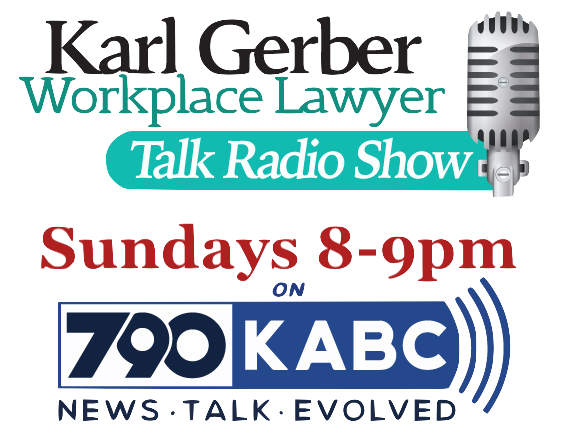 There are very specific legal circumstances that must be handled in a very specific manner that may justify an employee quitting their job in California and suing for what is called constructive wrongful termination. Constructive wrongful termination means the employee is forced to resign due to intolerable job circumstances. The intolerable job conditions must be on the same level as an employer’s conduct that amounts to wrongful termination. Employees repeatedly subjected to severesexual harassment may have suffered intolerable working conditions that justify their resignation. Likewise, employees subjected to severe racial harassment, or disability harassment may have grounds to quit. Employees exposed to unsafe work practices may have been exposed to intolerable job conditions that justify resignation. Employees who are not paid their wages in an appropriate manner, or who are being forced to do something illegal may have been exposed to intolerable job circumstances that warrant their resignation. 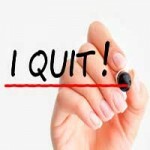 In order to answer the question, “Can I quit my job?” you MUST consult with an experienced employment lawyer. If you get up and quit without advising the right levels of management of the intolerable job conditions, and giving them time to correct the bad employment situation, you may not be able to sue for quitting your job. In addition, far less than all work problems that bother you amount to legal justification to quit your job. How To Quit My Job? If you think that you are being forced to quit your job, wonder if you might have a constructive wrongful termination case, or you are wondering if you can get unemployment benefits if you quit your job, you must consult an experienced employment lawyer. It is doubtful that an employee, on their own, without the help of an experienced labor lawyer, will go about the proper legal procedures to quit their job without prejudicing their legal rights. In addition, your employment situation may not legally justify you quitting your job and suing for the loss of your job. Likewise, the conditions at work may not justify you quitting your job and being able to sue for quitting your job. You will need an experienced employment labor to guide you through the process of being able to quit and sue, or being able to quit and seek unemployment benefits. However, no matter how good the employment lawyer is, they cannot guide you through a situation that is legally insufficient to justify you quitting your job. If you are wondering if you have grounds to quit and sue, we look forwarding to speaking to you about your employment problems. Please do not make the mistake of taking legal matters into your own hands and prejudicing your rights to unemployment benefits and being able to sue your employer. If you want to know if you can sue if you are still employed, and how to go about quitting your job, the Employment Lawyers Group is available for consultation.